So You Want to Own a B&B? It’s a tempting dream, but there are a few things you should know before taking the plunge. By Jeff Clark. 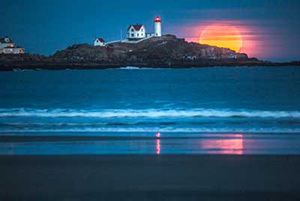 Maine is the first place in the nation where this finicky little beach bum is making a comeback. By Paul Karr. The regal City of Rockland was beset by calamity almost from the first day she steamed into Maine waters. By James P. Brown. If the state, with all its budget shortfalls, can’t afford to maintain General Knox’s once proud mansion, who can? By Ellen MacDonald Ward. Molly Nelson will tell you that herding wild sheep on a deserted isle is not a romantic calling. Photographs by Tonee Harbert. As a new book explains, impressionist Frank Benson captured a halcyon moment just after the turn of the century — and a tranquillity that still prevails. By Carl Little.  Whether they’re descendants of the first settlers or transplants from away, the people in this quiet Down East town all have good reason for being here. By Sarah Goodyear. Digging for sandworms is one tough job, but most longtime wormers will tell you they are in it as much for the independence as the money. By Ken Textor. Adjusting to the ups and downs of the St. John River has always been a way of life for the people of Dickey, as a vintage photograph suggests. 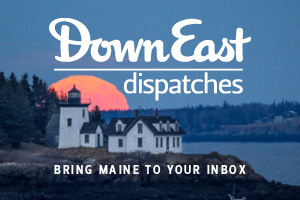 A special 56-page supplement devoted to the joys of Maine in autumn. I see nothing in nature that regards killing as fun or recreation, and it is my devout belief that natural laws are the ones that we cannot break except to our sorrow. By Caskie Stinnett. 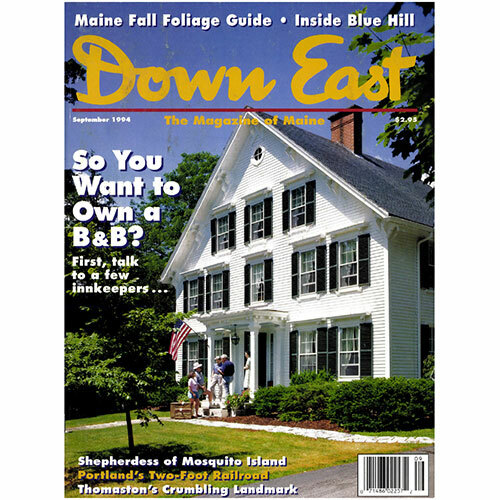 Cover: Innkeepers Peter and Donny Smith and Diana Robson welcome prospective guests to the Maine Stay in Camden. Photograph by Brian Vanden Brink.